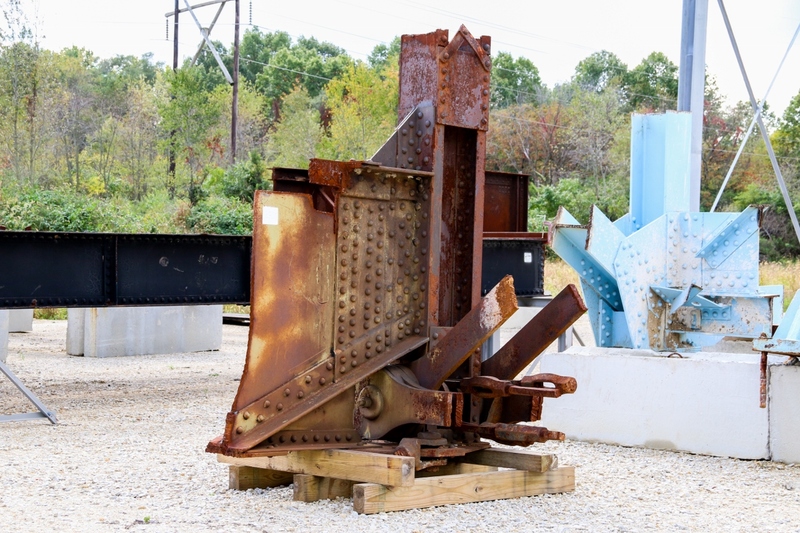 This is a multi-acre gallery, which includes full-scale bridge structures, portions of complete structures, and individual components, has a host of common and uncommon details used in steel bridges. Similar centers exist for the aircraft, ship, and offshore industries, though nothing had previously been developed for the steel bridge industry. Figure 1 shows the first phase of construction for the S-BRITE Center Bridge Component Gallery (BCG). The POD Research frame can be seen in the foreground and the 65' span railroad bridge can be seen in the background. The access road splits Phase I (the northern half of S-BRITE) into two. Gravel pad research areas branch off the access road where a number of bridge components are and will be staged. Additionally, active research is being conducted on some of these pads. The S-BRITE Center BCG provides unique hands-on education for professional engineers, inspectors and students like no other facility in the world. For example, imagine having several portions of the I-35W Bridge from Minneapolis (shown below in Figure 4) available for training on failure investigation, or other large structural components removed from service that can be used for education of students (university and K-12), engineers, and inspectors from around the country. 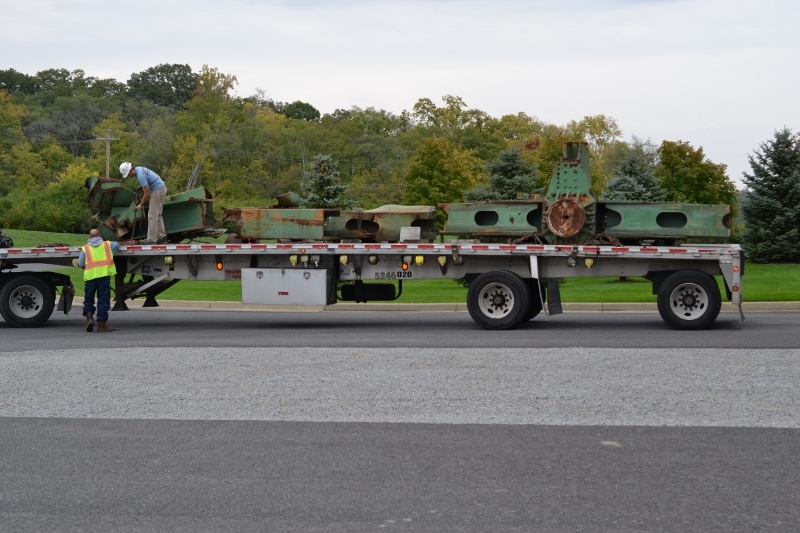 The Gallery provides this experience for individuals of all levels regarding steel fabrication, deterioration, inspection techniques, etc. In addition, the S-BRITE Center will utilize Purdue's existing state-of-the-art training facilities so that professional training, as well as graduate and undergraduate courses can be conducted. A modest facility will also be built on site at the Gallery which would include a small high-bay research laboratory for receiving components, fabrication of control samples, indoor training associated with non-destructive testing, housing tools and equipment, etc. Construction of Phase I was substantially completed in December of 2014 and the following figures show some of the bridge components already secured. 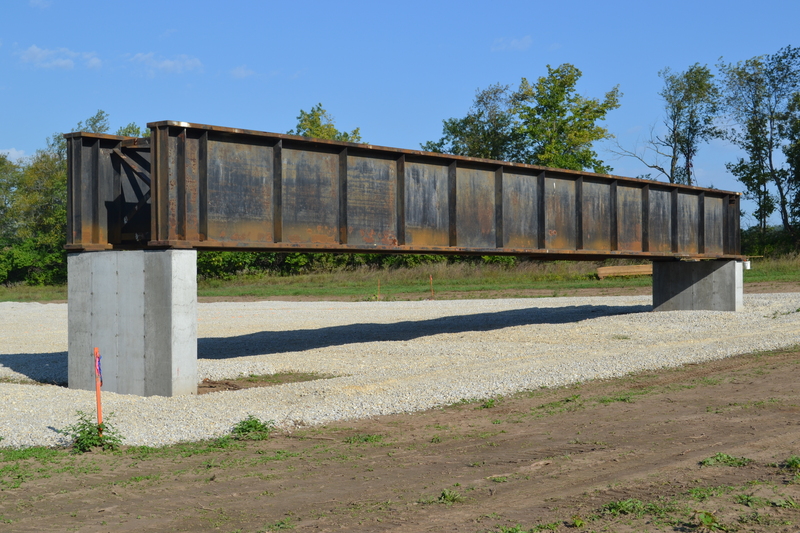 Since the bridge components are not actually in service and are in more accessible conditions, costly traffic control and extensive fall-protection is not required during training. However, they are being situated so that real-world conditions exist to truly simulate in-situ inspection conditions. As a result, those undergoing training can focus on the educational aspect of their visit while still being in representative conditions that are economical and safe. Having such a “living laboratory” is also incredibly useful for research tools being developed for inspection, durability modeling, and performance testing of inspectors. Figure 8. 12-feet deep girder sections with repair of brittle fracture from the former Lafayette Bridge donated by Minnesota DOT. 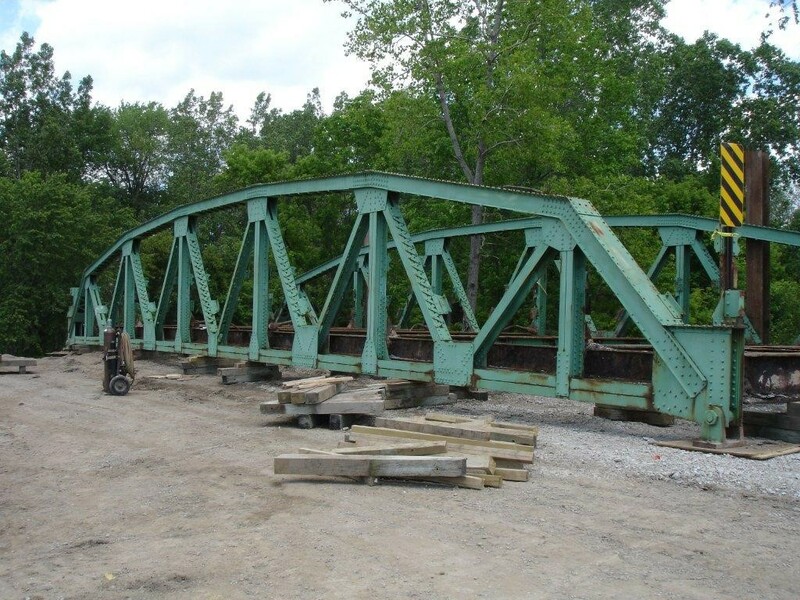 Steel bridges and structures are the focus of the S-BRITE Center, other materials such as concrete, timber, etc. will be incorporated into the larger center, The Center for Aging Infrastructure (CAI), under future initiatives (e.g., C-BRITE for concrete).